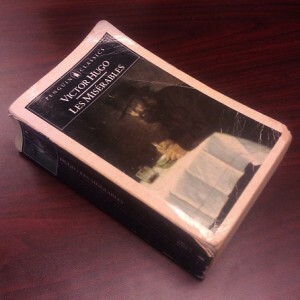 I’m re-reading Victor Hugo’s Les Misérables (the Norman Denny translation) after 20 years, and providing a running commentary on Twitter at KelsonV @ReadingLesMis. I’ve expanded on this week’s comments here. The book begins with Part One: Fantine, and opens with the Bishop of Digne. The first several chapters are mainly a character study of him, known to his flock as Msgr. Bienvenu, a kind-hearted soul who cares for those in need and still lays the verbal smackdown on anyone more self-absorbed than him (which seems to be everyone). Victor Hugo not only worked out the Bishop’s household budget, but included it in the novel. To be honest, it is character building. The bishop allocates most of his “household expenses” to various charities. The silver Valjean later tries to steal gets mentioned in passing as the only luxury he hangs onto, giving everything else to the poor…even when he goes off to bandit-controlled territory for two weeks and, instead of robbing him, they hand him the loot from another cathedral. “Although it has no direct bearing on the tale we have to tell…” As I recall, there’s a lot of that, just not admitted. The first time I read this I had no idea of the significance of the bishop speaking Languedoc. This will have to be more than a lunchtime project, or it’s going to take months. I’d forgotten just how dense the book is. I only had two lunch hours to read this week, and I read 1/4 as many pages as I’d read of A Memory of Light in the same amount of time. Continue to part 2 as Jean Valjean makes his first appearance. This entry was posted in Book Commentary and tagged Bishop, Candlesticks, Digne on January 27, 2013 by Kelson Vibber.